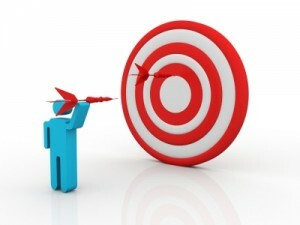 As we head deeper into 2013 across New Jersey, we have our eyes set on a number of clear targets. Or do we? As we assess goals and objectives, we have to ask ourselves, what do we want as leaders? What do we want professionally for a career or for a business? What do we see as value? What do we sense as motivation? It is only through questions that we can create and achieve goals. With a high degree of self- awareness and honesty, we can create the methodology for continuous success. We often get so busy with day to day issues that we get detached, confused, and unfocused with planning our short and long term goals. G: Get moving. Goals always involve activity and motion. O: Opportunities always drive success. Group a series of opportunities into both goals and objectives. A: Attitude is a key component for goals and goal keeping. From weight loss to process improvement, a positive attitude is essential. L: Leading others is critical in completing goals. Good leaders support and define direction. S: Steadiness is an important factor as well. Progress can take time. Just keep your eye on the end result. There are a multitude of challenges in keeping goals and finding success. By placing all activity and focus into positive directions, there is a great chance that the expected results will happen. It is important to note that goals do not exist unless they are written down and dated. These actions provide a sense of ownership. Every solution is owned. Defining your future as the year progresses is always a good thing. Keep aiming in the right direction. It is all about choice. Grouping a series of choices into positive goals and making them a priority will give rise to only good things. Both business and career will improve through the goals and objectives that we set forth.